Join us on Monday, November 24 in Lit from 6-8pm as we feature a special Scotch and Cigar pairing called the Glenfiddich Kindred Spirit. We've joined up with Glenfiddich and En Fuego Cigars in Las Vegas, NV to bring you a unique tasting opportunity. 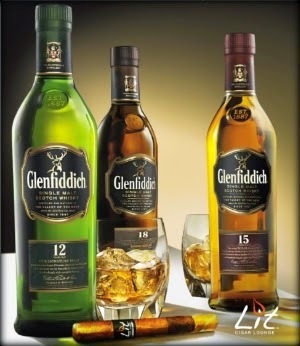 During this event, try a flight of three Glenfiddich Single Malts and a special three wrapper cigar, designed to change profiles to complement each specific whisky as you smoke it. We'll be offering the Kindred Spirit Flight for $25 for the next month while supplies last, but for one night only, enjoy the Glenfiddich Kindred Spirit flight and cigar for only $15! We'll have a Glenfiddich brand ambassador in house to educate us on the world's most popular single malt, along with some prize giveaways as well! There's still time to take part in the Ashton Grand Tour going on all month long. 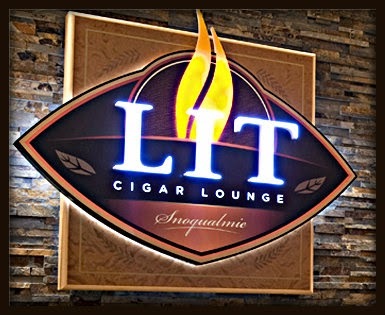 Stop by Lit and pick up your Grand Tour punch card, and as you purchase the different Ashton, La Aroma de Cuba and San Cristobal cigars, you earn free gifts along the way. The first 35 people to complete the tour will be automatically RSVP'd to a special private event in Lit on Tuesday, December 2, where you'll taste the brand new Ashton Symmetry cigar and have the opportunity to try a flight of all three editions of our private Woodford Reserve Snoqualmie bourbons for only $10. 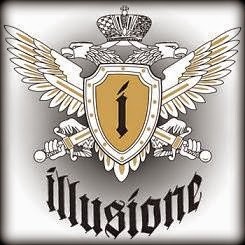 - Illusione Singulare 2014 Anunnaki - The fifth installment of Illusione's fantastic Singulare Limited Edition cigar is here. It's a beautifully constructed, medium bodied all Nicaraguan Toro Gordo. You can read more about it on this article from Cigar Aficionado. - Arturo Fuente Toast Across America 2014 - These special 2 packs of rare Fuente cigars is a fundraiser for the wonderful Fuente charity, the Cigar Family Charitable Foundation. This year's edition contains two cigars in the popular "Shark" size, a box pressed torpedo - one in the Opus X blend and the other in the Diamond Crown Julius Caeser blend. The pack is $50, with 100% of the money going to the CFCF, which provides education and health services to the Dominican Republic. - Dunhill Aged Reserva Trilogia - This is a special release of three different Dunhill Aged Reserva, an elegant and mild cigar featuring aged tobaccos from the 2003, 2006 and 2009 Vintage crops. All three are perfect for putting away for future enjoyment or smoking right away. - Xikar Gift Sets - We've received some beautiful Xikar accessory sets, specially priced for the Holidays. The White Out and Black Out sets feature a Xikar lighter, cutter and ashtray in either all black or all white for only $70! There is also a Carbon Fiber gift set featuring the amazing Xi3 Carbon Fiber cutter and a special edition Axia G2 finish lighter for only $130. Both sets are discounted nearly 50% from buying each separate item individually. Ask us about other cigar related gift sets while you're here! 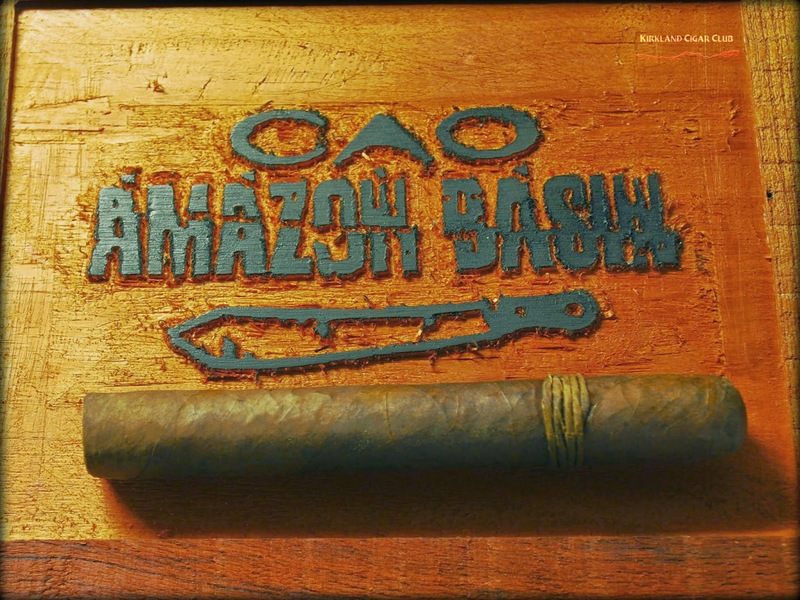 First debuting in 2003, this unique fundraiser brings together fine tobacconists and cigar enthusiasts from all over the world for one amazing event. 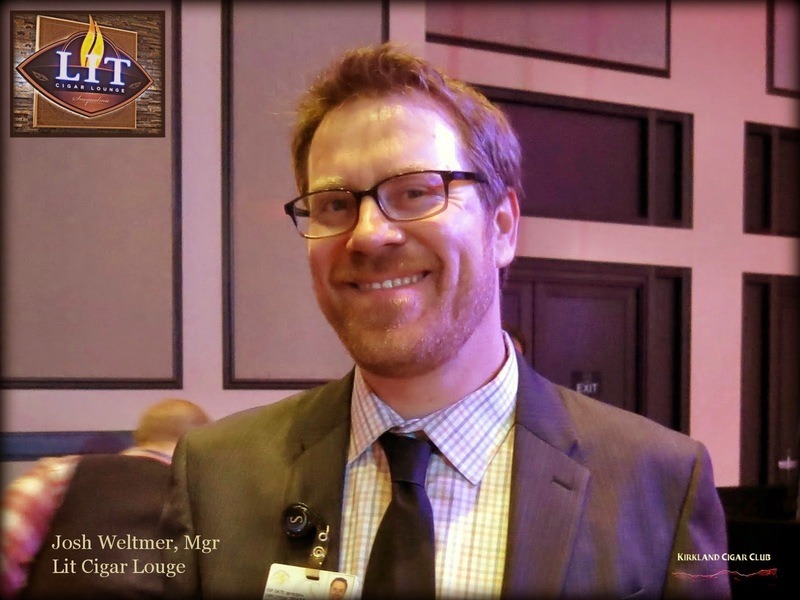 These cigars are placed in exquisite commemorative packaging and available through only the best tobacconists at signature Toast Across America cigar events. Thanks to the Fuente and Newman families, the Toast is underwritten so that all proceeds go directly to the Cigar Family Charitable Foundation. These special packages are available on a First Come - First Served basis only. Those who donate $50.00 will not only receive their two special cigars, but will also have the first opportunity to purchase some rare and unusual Fuente cigars that we will be receiving for this event. 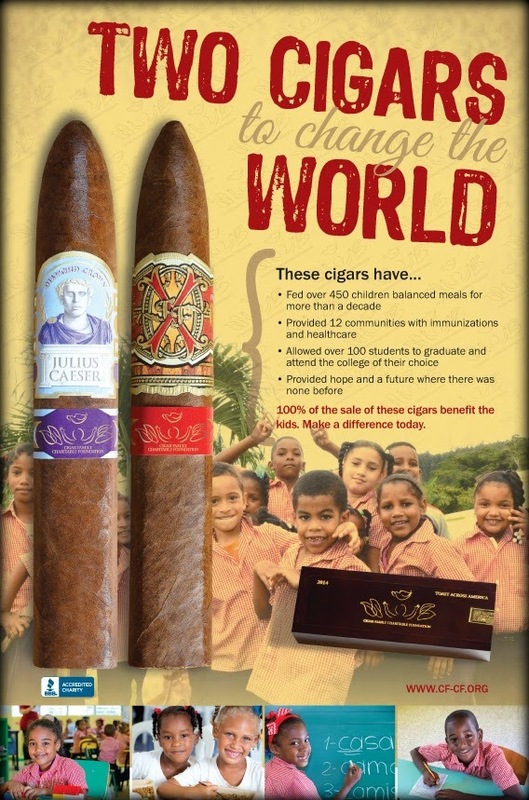 These special cigars will be available ONLY to donors during the Friday event. To make your donation and reserve your Toast Across America cigars, please follow these directions. To make reservations E-mail kirsten@raincitycigar.com or call us @ 206-767-3619. Reservations will be held for 7 days only. After 7 days, UN-Paid reservations will be canceled and offered to persons on the waiting list. 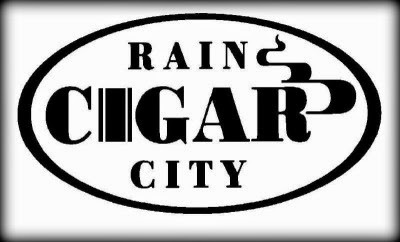 You may come into Rain City Cigar in person to make your donation or mail in your CHECK or MONEY ORDER. Don't delay! This event sells out every year! J.C. NEWMAN CIGARS ON SALE! Even if you cannot make a contribution, come on down and join the fun. Arturo Fuente, Fuente Don Carlos, Fuente Hemingway, Diamond Crown Julius Caeser, Diamond Crown, Diamond Crown Maximus and BrickHouse. 10% off five or more cigars. 15% off 20 cigars or full boxes. with special Fuente cigars available that day to all! We hope to see you on Tuesday, November 11 in Lit from 6-8pm as we're joined by Nestor Miranda, founder of Miami Cigar & Co. for a great event featuring the Nestor Miranda Collection and La Aurora lines. Nestor has been celebrating the 25th Anniversary of his company along with the launch of the three different cigars under the Nestor Miranda Collection, all produced in Nicaragua by the Garcia family at My Father. 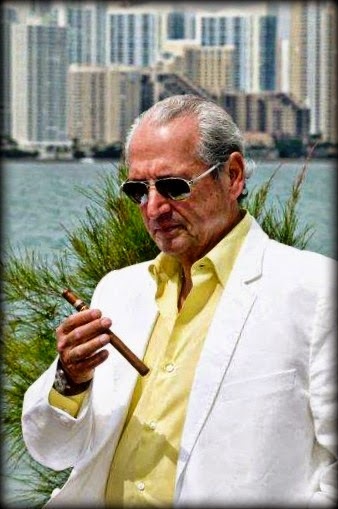 You can read more about Nestor's story and his crazy ride through the cigar boom of the 1990's in this interview with Cigar Aficionado. In addition to this rare visit from a cigar industry icon, we'll also be doing a "Pick 4" flight special for only $15, where you can build your own custom spirits tasting, choosing from 20 different types of whisky, rum and tequila, including expressions of The Macallan, Patron and Bruichladdich, among others. Tell your friends, and join us for what should be a great evening! 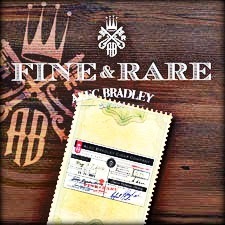 - Alec Bradley Fine & Rare - This limited edition cigar (30,000 total production) is a complex blend of 10 different tobaccos and the crown jewel of the Alec Bradley lineup. We have just over 20 cigars left in stock. - La Gloria Cubana Trunk Show MG-08 and YG-23 - the third installment of the LGC limited edition Trunk Show consists of two large (7 1/4x54) cigars wrapped with a unique band made of tobacco that you can smoke right through. Here's an excellent writeup from Cigar-Coop. - Rocky Patel Decade Cameroon and Super Ligero - Two new cigars from Rocky. The Decade Cameroon is precisely what you might think: a medium bodied extension of the popular Decade line, wrapped in a mellow and complex Cameroon wrapper. Super Ligero is a full bodied Honduran blend featuring some new fermentation techniques to create a cigar with all the strength of ligero tobacco without the harshness. - Ashton Symmetry - We're the only store in the state to have these cigars early. This line, the first new Ashton in nearly a decade, is officially released on December 2. It's an incredible smoke, strong and complex and expertly rolled. While you're here, ask your tobacconist about the Ashton Grand Tour, a promotion we're running all month where you can earn free cigars along with the opportunity to tase the Symmetry at a special private event on December 2 in Lit. I'll start by saying that this is one of the best cigars I've smoked all year! Seriously! A few weeks back I bought a box of these while at the Washington Cigar & Spirits Festival. My friend Lily, who knows much more about cigars than yours truly, recommended that I give them a try. She raved about how this was such a great smoke! Heck, if Lily says they're good, they've got to be damn good! That being said, this is without a doubt an excellent cigar! Medium to full body, perfect draw, tons of creamy smoke, and a delicious full flavored taste. Honestly, I'd take this over a Padron. I'm not kidding either - It's that good! Oh, and the gimmicky label that looks like string wrapped around the wrapper - well those strings are made of tobacco, and yes, you can smoke that too! Taste just fine I might add. Feel free to smoke this cigar right down to the nub, you're gonna love it! Yes, I definitely would recommend that you give this cigar a try!